WASHINGTON — The Army is making revolutionary and fundamental changes in the way it envisions operating against adversaries in the future. And that means writing new concepts that will lead to doctrine and completely changing the way it is modernizing the force. The last time the Army underwent such a major rewrite of its operational concept was when it crafted AirLand Battle. Published in 1982, it spurred the modernization of the Army as it is known today. In the past, there has been a gap between concepts, requirements and available technology and, at times, capabilities being developed didn’t fit with set concepts — much like fitting a square peg into a round hole. The disconnect often led to programs being canceled deep into the process and billions of wasted dollars, from the failure of Future Combat Systems to the cancellation of the Ground Combat Vehicle and the Comanche armed reconnaissance helicopter. The service is seeking to get it right again by shaking up the status quo as it transforms the force to be able to take on peer adversaries in denied and difficult environments. The most dramatic move has been establishing a brand new four-star command — Army Futures Command — that is organized to bring concept and capability development closer together. Primarily, the AFC is focused on six top modernization priorities that align with what the Army believes it will need to fight peer adversaries, jointly with the other services, across all domains — air, land, sea, cyber and space. Those top six priorities are — in order of importance — Long Range Precision Fires, Next-Generation Combat Vehicle, Future Vertical Lift, the Network, Air-and-Missile Defense and Soldier Lethality. One way the Army is ensuring that the concept and capabilities developers are on the same page, as it undergoes one of the most monumental changes in its history, is by moving the Army Capabilities and Integration Center out from under Training and Doctrine Command and over to Army Futures Command. While AFC headquarters was activated in Austin, Texas, in August, ARCIC will remain at Joint Base Langley-Eustis, Virginia, where TRADOC is headquartered, establishing a strong connection between AFC and TRADOC. As part of reorganizing its major commands to work with AFC, the service is now focused on ARCIC’s complete transfer over to the new command this fall, Army Under Secretary Ryan McCarthy told Defense News in a recent interview. For the Army, ARCIC is seen as one of the two major pillars of AFC. The other is the Army’s Research, Development and Engineering Command, a major subordinate of Army Materiel Command, which will move under the AFC later on, but before the Futures Command reaches full operational capability next summer, McCarthy said. ARCIC has been working hard to continuously update the Army’s main operational concept. The service rolled out the first version of that concept two years ago, calling it Multidomain Battle. Now the service plans to soon release its second version of the concept — Multidomain Operations 1.5. 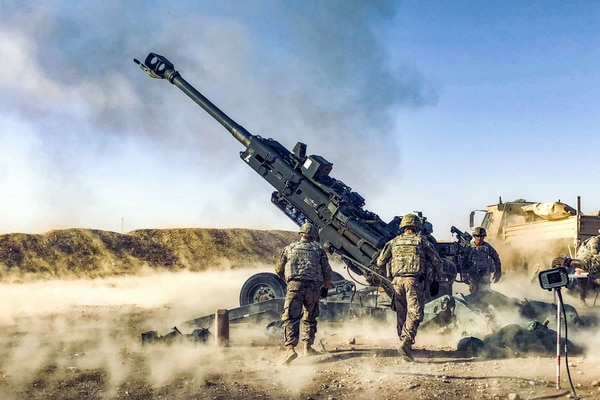 To get both concept and capabilities right, Wesley, ARCIC’s chief, said it’s imperative that as part of the Army’s transformation, the service not get too consumed with just materiel modernization. It’s easy to focus on AFC’s efforts to rapidly prototype and develop technologies going into the field in a matter of years and not think about the concepts that drive capabilities. But the AFC will also focus on future concepts, and one of its tasks will be to assess the operational environment as part of that, according to Wesley. In the 1970s and 1980s, Wesley said, the service reconfigured doctrine, training and organization. “If I make the assertion that we’re in a similar time now, we’ve got to look at this more broadly than just materiel modernization,” he said. 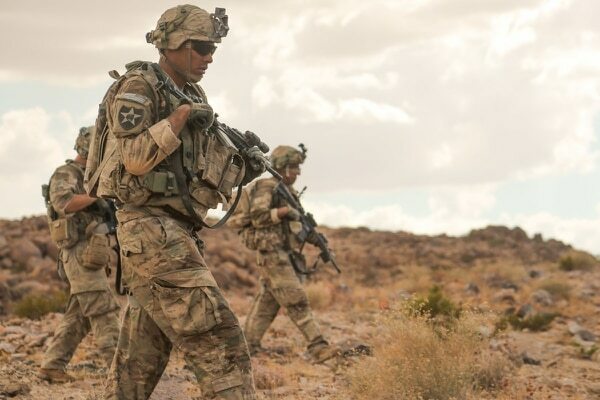 One of the reasons the Army didn’t move directly to the 2.0 version of the multidomain operations concept was because the service wanted to make sure that its modernization efforts and priorities were aligned with it, Wesley explained. The 2.0 version is due in fall 2019. Wesley said all of the modernization priorities as of now are aligned with MDO 1.5 requirements. ARCIC completed an experiment in the summer of 2018 where “we integrated what we predict are the outputs of the modernization priorities in terms of programs of record in how you would fight MDO, and then we fought in that environment,” Wesley said. 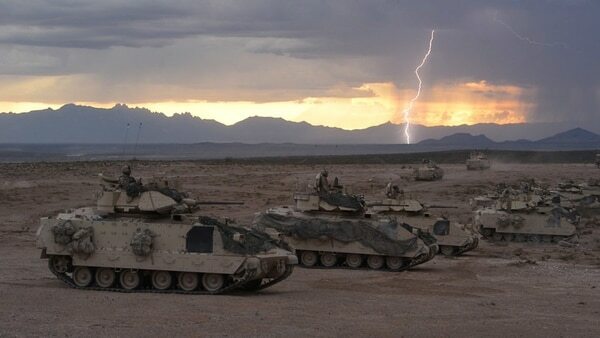 The Army will continue to refine concepts and capabilities as the result of the experimentation, and as new capabilities become reality, it will plug those into the same experiments. 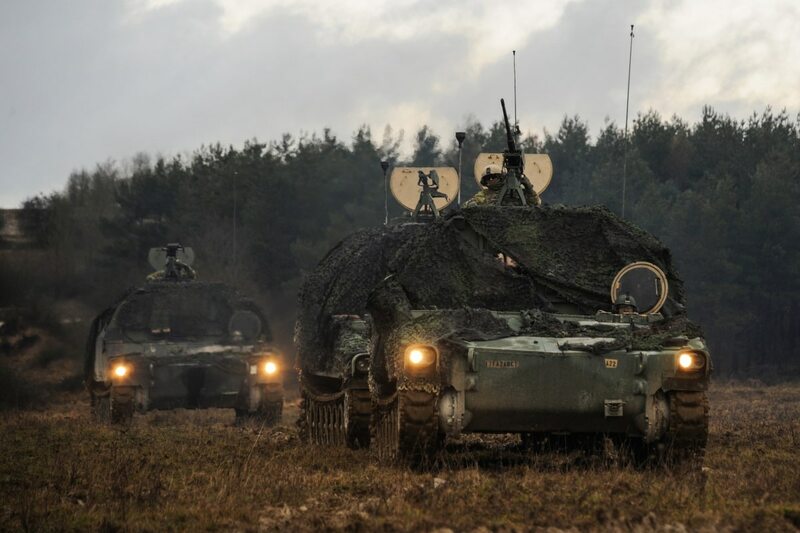 Underneath the MDO concept is a second tier of functional concepts, including the maneuver concept, the fires concept and the intelligence concept, coming from the Army’s various centers of excellence. “We did a lot of work on that to ensure that each of the functional concepts are refined so that they’re aligned and consistent,” Wesley said. The Army is also working to develop operational and organizational concepts. In some cases, concepts like the ground combat vehicle modernization strategy or the robotics and autonomous strategy — which came out before multidomain battle was fully defined or before the current administration released its National Defense Strategy — might need some changes. Yet, Wesley noted that it seems some of these concepts won’t require much tweaking. For example, the ground combat vehicle strategy largely recognizes that standoff will be key in future operations, and that is why it is pursuing procurement plans for a ground mobility vehicle, a light reconnaissance vehicle and a light tank to create mobility for the infantry brigades that would be largely static without those resources. ARCIC is now working on an Army modernization strategy 1.5, after releasing an initial one a year ago that laid out the top six priorities. “This is something ARCIC will publish in the coming year to align with MDO 1.5,” Wesley said. The difference between the first version and the second strategy is that it will focus across doctrine, operations, training, materiel, leadership and education, personnel and facilities. Wesley foresees some fundamental changes required within concept development. One area ARCIC will focus on is how the Army manifests mission command, Wesley noted. Wesley also envisions having to change authorities of operating and tactical commanders to employ capabilities that, in the past, the Army has been issuing and deploying at much more senior levels. In terms of specific doctrinal changes, the Army will, as one example, have to redefine sustainment. “When you conduct independent operations and distributed operations by tactical units, the fundamental look at how we sustain the force is going to be a big change,” Wesley said. What ARCIC, AFC and the rest of the Army does now is not just make changes to a concept.